​Ahhhh, the January transfer window. Full of thrills, spills, excitement and drama - and then of course there is the really serious business of fantasy football. After dousing ourselves in the splendour of FA Cup action over the weekend, it's back to domestic league action this weekend - with the undoubted game of the weekend seeing outside title challengers Tottenham host resurgent Manchester United at Wembley. Who will come out on top? Well, we don't know that but we do know who should be considering for your fantasy picks this week. Take a peak..
Neil Etheridge - It's been a rollercoaster season for the Cardiff goalkeeper to say the least. Forty-one goals have been conceded, but in amongst the chaos, Etheridge has produced some standout individual performances - keeping five clean sheets and making three penalty saves to be statistically precise. The Bluebirds run of fixtures are (relatively) kind over the next ten games or so - and at £4.6m, Etheridge could prove to be real value. Angus Gunn - It's been a testing season for Southampton stopper Gunn, biding his time on the substitutes bench as understudy to Alex McCarthy. But given the chance to shine against Chelsea last time out, Gunn seized his moment - producing a string of saves to keep an unlikely clean sheet at Stamford Bridge. Will it last? Time will tell, but a value of £4.3m suggests you should go along for the ride. Joe Hart - Out of luck, out of form and out of the team. That would now appear to be the reality for Hart heading into the second half of the season. Tom Heaton has usurped the former England goalkeeper to claim Burnley's number one jersey and with Nick Pope fit again and fresh off an FA Cup appearance, it could well be curtains for Hart's season. Cue the mass exodus from the 7.5% of teams who have the 31-year-old. ​Trent Alexander-Arnold - Last Thursday saw Liverpool's young defensive starlet endure one of his toughest Premier League outings against Leroy Sane. Luckily enough for Alexander-Arnold, he won't have to face him again this season - instead, a fresh sea breeze awaits with a trip down to the south coast to face Brighton. Better still, a clean sheet could be back on the menu - much to the delight of over 20% of players who already have the 20-year-old among their ranks. ​Kyle Walker - There would once have been a time when Walker would have been a regular fixture in most fantasy football sides. Those days appear to be in the past - for now anyway - with Walker confined to Manchester City's bench for the last three games. Costing an eye watering £6.4m, you can't run the risk of such an expensive asset not playing week in, week out. Time to say cheerio. Nathan Redmond - A new manager, a new philosophy and a new dawn? Perhaps that's a little strong considering Southampton are still in the relegation zone, but things definitely appear to be looking up. They do for Redmond at the very least. 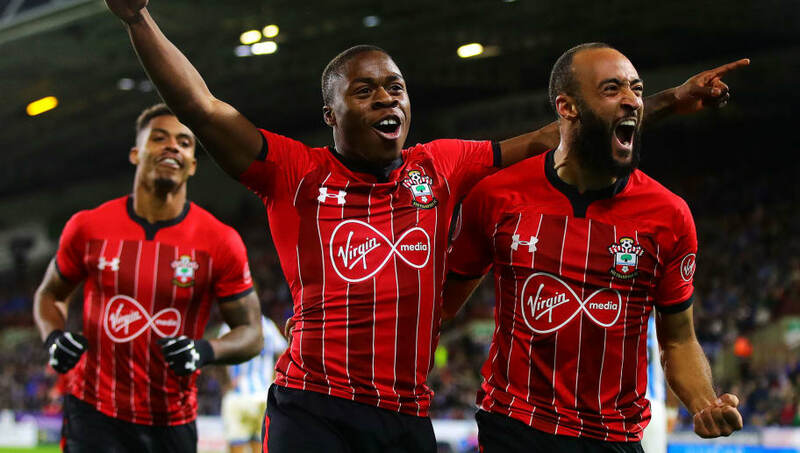 Four goals since the appointment of Ralph Hasenhuttl have no doubt done wonders for the former England Under-21 international's confidence - and that could transcend into healthy fantasy points over the next few weeks. Luka Milivojevic - Last season's penalty scoring machine has started finding the back of the net once more for Crystal Palace - helping secure some vital wins for the Eagles in recent weeks. He's now up to six for the season, so as goalscoring midfielders go he's right up there - probably worth your consideration at just £6.1m. Ruben Neves - Rotated and placed on the bench for two out of the last three games, Wolves' Portuguese star has struggled to have the attacking impetus required to make him a standout fantasy pick. Neves is valued at just £4.9m, but has only scored twice and assisted once this season - which doesn't cut the mustard in this line of work despite his FA Cup heroics against Liverpool. ​Marcus Rashford - A change of manager, a change of position and a change of fortunes sums up the last few weeks for Rashford at Manchester United. Backed by Ole Gunnar Solskjaer to become a top class number nine, the young England forward could find himself spearheading the Red Devils' attack over the next few weeks. Costing just £7.3m, he's good value at this stage of the season. Marko Arnautović - Back in the team and back in the goals - that will be hope of many fantasy managers up and down the country. And you may not be disappointed, with Arnautović's West Ham facing on paper, a favourable run of fixtures. The Austrian loves a goal against the Premier League's big boys - and you wouldn't back against the £6.9m man netting against Arsenal. ​Alexandre Lacazette - He may have scored last time out against Fulham, but it's been a frustrating last few weeks for Lacazette. Arsenal's French striker seems unable to convince Unai Emery that he is worthy of a full 90 minutes, having failed to complete any of the Gunners' last nine Premier League games. That uncertainty is not what you need in fantasy land, and you're better served investing your £9.4m elsewhere.